do you ever think about how easy it is for M.O.D.O.K. to touch his toes? 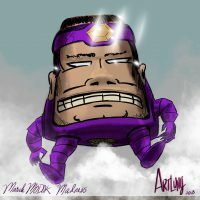 I feel honored to be able to participate in March MODOK Madness a second time this year! Previously, Previously, Previously. As promised, I’m all about MODOK MADNESS this year. 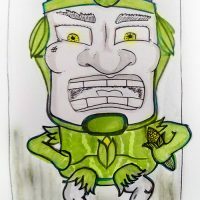 I submitted last night. Keep drawing, True Believers! March Modok Madness is coming! 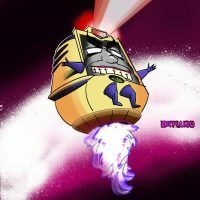 I never posted about the fact that I did a second MODOK in 2012. I mentioned the first one I did here, but not the second. What? 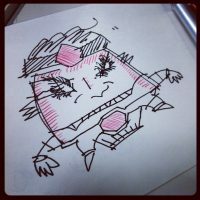 You’ve never heard of March MODOK Madness? 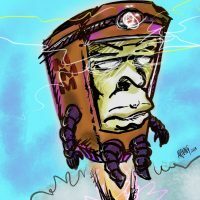 You’ve never heard of MODOK? Read about him! 6 Months to another March MODOK Madness. Sigh. Our final days of MARCH MODOK MADNESS 2016. Repent! Catch up with what it’s all about at marchmodokmadness.blogspot.com. I submitted one back in 2012 (here). I need to do another one in 2017.